Bonjour! The utterance of this simple greeting is all that it usually takes for French people to know that I'm not one of them. In fact, I've gotten so used to everyone immediately identifying my accent that I was completely caught off guard last night when the waiter at Harry's Bar told me in no uncertain terms that only Americans are allowed to participate in the legendary U.S. Presidential Straw Vote. Baffled by his response, I replied, "Mais, je suis Americaine" to which he retorted that he would need to see official proof of my nationality. After telling Stephane that I really thought that my accent would be all the evidence that they would need, I started flipping through the cards in my wallet: French driver's license, Swiss identity card, museum memberships, American Library card - nope, nothing that shows that I was born in the USA. Americans, who plan ahead and take their passports with them to Harry's Bar, are given a slip of paper on which to cast their ballot. The votes are meticulously counted every evening and a running total is printed on the mirror behind the bar. On November 3, the final results will be made public. At the moment, the 2012 Presidential election has split the clientele of Harry's Bar down the middle with 76 votes cast for Obama/Biden and 74 for Romney/Ryan. Most remarkably, the straw vote at Harry's Bar has accurately predicted the results of 23 out of 25 elections during the past 87 years. Open seven nights a week, I'm happy to have a legitimate reason to return to Harry's Bar to cast my vote prior to November 3. 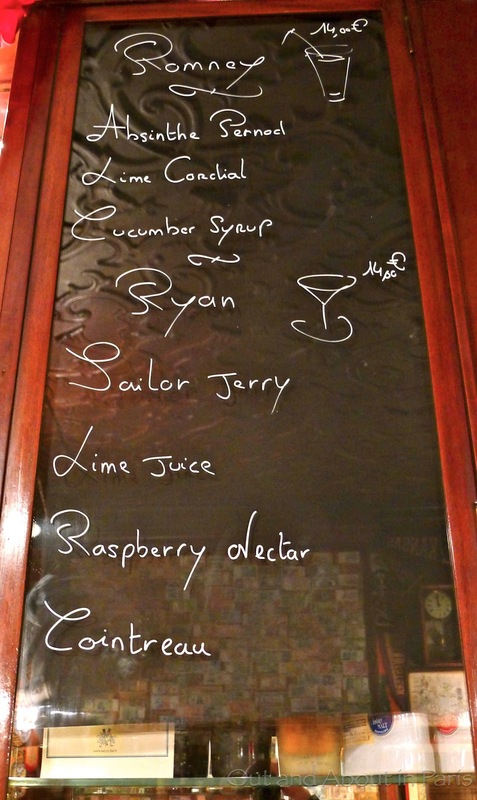 While I'm there, I may order a specially created Obama, Romney, Biden, or Ryan drink or one of their other original creations, like a Bloody Mary, French 75, Side Car or The Monkey Gland. Just in case the waiter doesn't pick up on my accent, I'll be sure to have my blue passport with me! By all accounts, it seems that Harry's Bar is THE place to be on election night. I cannot imagine my pronunciation of a single French word without a Boston accent ... Like fingernails on a chalkboard, it tears at the very soul of the Parisians whom I have met! Will watch for your posting of the Straw vote results. That's not true, Nancy! I've seen you have very good interactions with Parisians who didn't look traumatized in the least. To the contrary, it was evident that they appreciated your efforts to speak French. I'll be sure to post the results of the straw vote! Wait, he really didn't believe you were American? After speaking English?! Noooooo! One: Bravo to you for an excellent French accent. Two: Good to know. I will come prepared with official documents. Three: CAN'T WAIT! This is going to be fun! He probably believed that I was American (it's pretty obvious!) but they still want to see official proof before they'll allow you to cast your ballot. They take the straw vote very seriously. Did you see the padlock and chains on the box?! 1. I definitely don't have a French accent. It's more a weird combination of American and Swiss. It was just by some fluke that it came out sounding French. Even Stephane claims to have been surprised, especially since it was before my drink loosened my tongue! 2. Definitely take your passport but you have to go before or on November 3 for your ballot to count in the Straw Vote. 3. I can't wait either!!! One of the other things that I learned is that they only allow 150 people inside the bar and the rest stand in the street. We'll have to figure out how that works! No birthplace on ypur licence? I'll have to check mine... 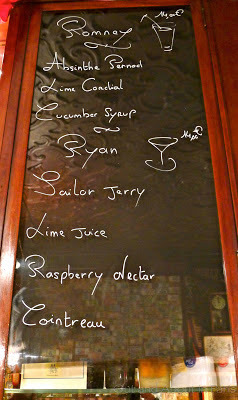 I don't know what sailor jerry is, bit i think cocktail-wise i would vote for a ryan! You're "anti dark spirits"? Does this also mean that you never wear a witches costume on Halloween? 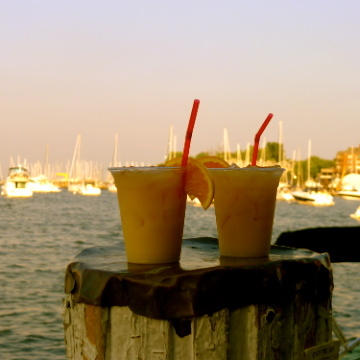 But seriously, I'm not a big rum drinker myself...actually, I'm not a rum drinker at all. 3 years in the Caribbean didn't even manage to convince me. After reading your comment, I checked my French license and saw that my birthplace is listed as the USA. Since I hadn't looked at it since I received it last year, I never even thought of it as a possibility. Thanks! Sorry for the typos (stupid ipad)! Ha, yes, in all forms. I will drink white rum, but I don't like the taste of rum, whiskey etc. and I have heard the darker the spirit, the more impurities, the worse your hangover. I didn't know that there are more impurities in darker spirits. Good thing I'm a wine and champagne drinker! I just took a look at your website. It's good to know that there's a restaurant in Paris serving spicy food. I'll have to check it out sometime. Bien fait Mary Kay. Just don't forget to cast your real ballot! Anne, You wouldn't believe all the problems that I've had with my real ballot because it's almost impossible to find a #2 pencil here. After searching at home and not finding one, I went to the post office to ask if they had one. They didn't so I went to a paper store, where the cashier told me that she didn't have any #2s because they're out of fashion. When I told Stephane about my dilemma, he dug one out of some obscure corner of the desk. So, I'm finally good to go. I sent my federal back-up ballot out yesterday and will mail my MD ballot today. There's no way that I would miss voting in the 2012 presidential election. It's far too important! HI, I'm back. I would have a Ryan too, although a Romney should be a Shirley Temple--Mormons don't drink alcohol--and an you imagine the White House without alcohol? 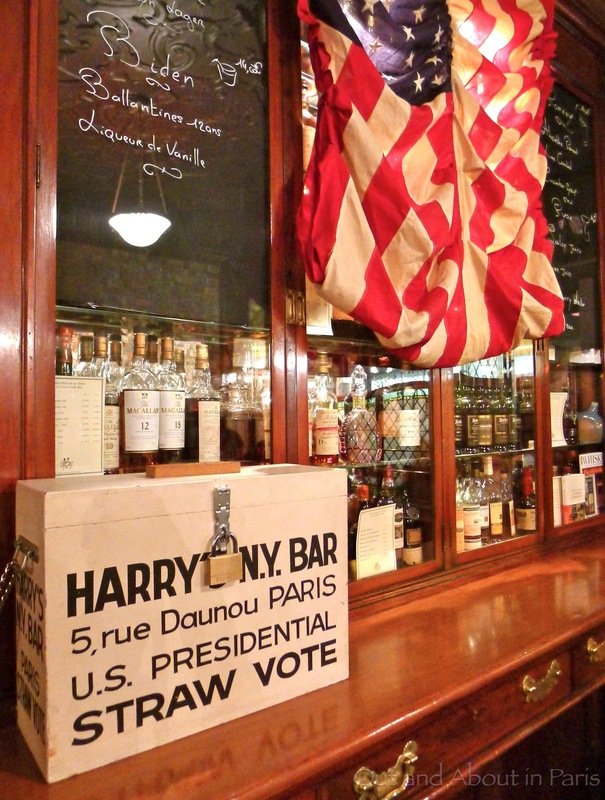 And really, Harry's Bar on election night--you'd have to stay up way way past your bedtime to see the results. Welcome back, Joseph. I hope that you had a pleasant trip! I was also surprised that there's alcohol in the Romney drink...and not only alcohol but Pernod Absinthe. 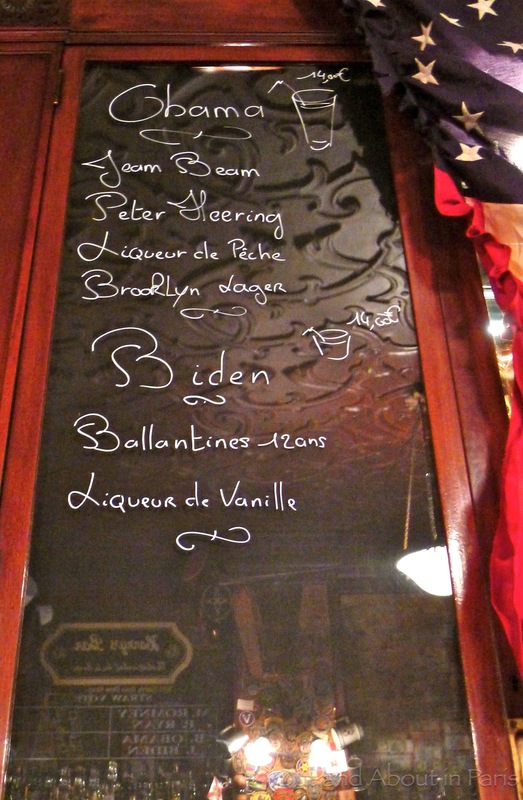 Knowing that the French like word puzzles, I couldn't help but wonder if there aren't secret meanings behind the drinks that they created for each of the politicians. Election night is one of the few nights when I allow myself to stay up past my bedtime! In 2008, I stayed up until they broadcast the final results and then I called my mom to talk about them with her.